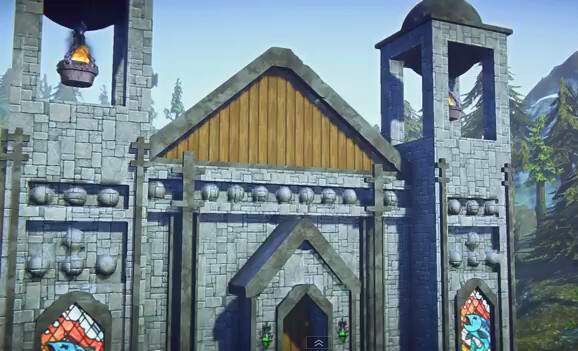 The church from EQN Landmark Teaser Trailer 1: World Of Imagination. What a curious thing. A game, marketed as free to play, is charging for access to alpha and closed beta development. It’s not entirely a new idea, World of Warcraft gave guarenteed beta access to their last expansion, Mists of Pandaria, in a package deal that included goodies like a free copy of Diablo 3 and a year of subscription. In this reversal of the usual payment model, I’m wondering why I should pay to play a part of the game that is usually free. If money is to change hands, shouldn’t SOE pay us to debug and trial their software?